Xiaomi fans in India have been asking it to launch its Mi TVs in the country for years. The wait is now over as the brand has brought the Mi TV 4 to the nation at an event which also saw the arrival of the Redmi Note 5 and Redmi Note 5 Pro. The Mi TV 4 first hit the scene at the CES 2017 where it made a big splash as the thinnest LED TV in the world at just 4.9mm, 30% thinner than an average iPhone. 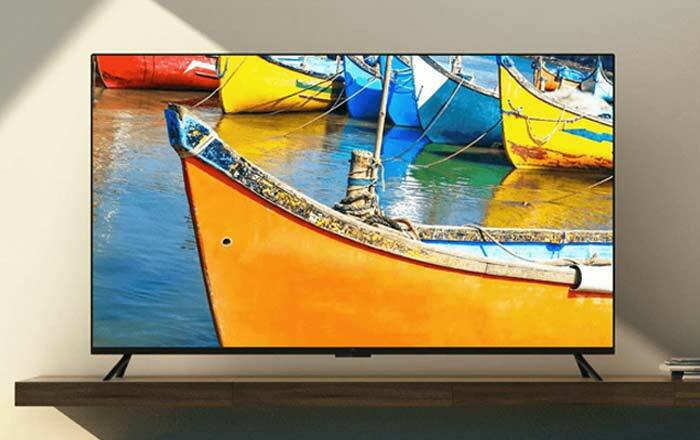 It’s made its way to India in a 55-inch variant priced at Rs 39999. This is very low considering the specs involved, plus there are a couple of offers to sweeten the deal. Buyers of the Mi TV 4 will get a Mi IR cable worth Rs 299, a 3-month subscription to Sony Liv and Hungama Play worth Rs 619, and on-site installation worth Rs 1099 for free. The company’s pulling out all the stops for its maiden TV venture in India, equipping the device with a nearly borderless 4K HDR display, 2GB of RAM, 8GB of ROM, a quad-core 1.8GHz Amlogic T968 processor, and Dolby + DTS-HD audio quality. Officially dubbed the Mi LED Smart TV 4 (55), the television runs on the company’s PatchWall UI. While it’s based on Android, it doesn’t have access to the Play Store. The brand says that it’s tweaked the software for Indian audiences, allowing it to provide deep learning-based recommendations based on a person’s viewing history. The tech behind this is provided by Sensy, a service by Bengaluru-based startup Sensara which relies on machine learning to tailor suggestions. It can even search TV shows and films in a connected set-top box. Xiaomi claims 80% of the content provided is free, bagging names such as Hotstar, ALTBalaji and Voot. YouTube, Amazon Prime, and Netflix are missing at the moment, but they could find their way to PatchWall eventually. Connectivity options include Wi-Fiac, Bluetooth 4.0, 1 x USB 3.0, 1 x USB 2.0, 3 x HDMI, 1 x Ethernet, 1 x S/PDIF, and 1 x RCA. Xiaomi’s thrown in a Bluetooth Remote as well. The Mi TV 4 will become available on February 22 at 2 pm via Flipkart, Xiaomi’s site, and Mi Home stores.